Do you like to make things? Are you constantly thinking about building the next prop for your cosplay? Are you a fixer or modder? What about a painter or artist? Then welcome to Epically Geeky Makers where we explore our geeky creative side! Ever wonder what ectoplasm feels like? No you can find out for yourself. 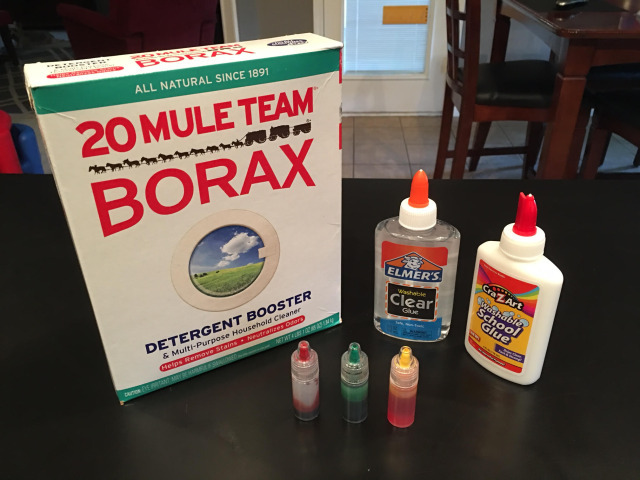 Take a little water, some kid's glue and a little food coloring and presto, instant slime. You can even make green or pink slime depending on how you plan to use it; in case you plan to animate a statue or something. Now that we're 30 episodes deep into the show (we're over 130 if you include the original show, Group Therapy), I thought it might be a good time to share some of the secrets and techniques we use to get the show to you every week and on every platform available. Whether you're new to podcasting or a seasoned vet, I've got some valuable information that might help make things easier and grow your audience. Grab your mic and your pencils; class is in session. It's finally here. After promoting it for months, I've finally completed my first How To guide. This guide will help you to build a kids sized proton pack based on the packs seen in The Real Ghostbusters cartoon complete with lights and sound. In it you will find parts and tools lists, simple electrical diagrams, templates you can print out and use and step by step instructions. Even if you have never built a prop before, this guide will help you get the job done. Who you gonna call? Click here to download the guide. The guide has been updated to version 1.2 after correcting a few minor measurment issues. Thanks to Jonathan Ferguson for the pointing them out.